So you are thinking of making the jump from iPhone to BlackBerry. When you look at them side by side, the two really aren't that different. Unlike Android devices which offer a huge range of hardware/software and can be a big change to BlackBerry, iPhone and BlackBerry are both similar in numerous ways. While you may not be sure if you're quite ready to make the change, we can help clear things up a bit and let you know what to expect should you choose to switch. Keep reading to see just what BlackBerry 10 has to offer. Kevin gives iPhone users a look at just how BlackBerry 10 stands up to the iPhone 5.
iOS and BlackBerry share many similarities when it comes to email, calendar and contacts - the one exception being iCloud. In most cases if you use Gmail, Outlook.com, Yahoo! 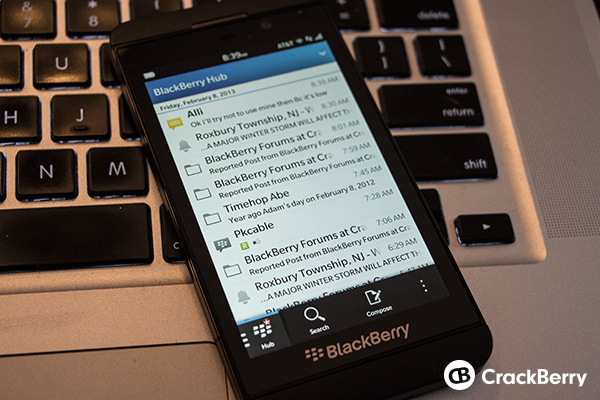 or a similar email, you will have no issue setting up your accounts on BlackBerry 10. If you are currently and iCloud user however, you'll have to dig a bit deeper to get your current accounts set up on BlackBerry 10. While you can easily setup your iCloud email on BlackBerry using IMAP, your contacts and calendars may not be as simple. For those you would need to use Gmail (or something similar) and export your iCloud data, then import it into a new Gmail account. From there, you can then easily add these to your BlackBerry 10 device. Ultimately you would need to pull away from iCloud and use another service for your personal data instead. While iOS has iTunes and the App Store, BlackBerry has BlackBerry World. Both offer up a large selection of apps, games, music and movies. Where BlackBerry might let you down is in the "big name" app category. Being such a new platform, you won't find some bigger-name apps you may be looking for after your switch. BlackBerry 10 has basic apps like Twitter, Facebook and foursquare built-in with apps like Skype and Whatsapp on the way. EA, Gameloft, and Halfbrick have already dedicated themselves to platform, and a few popular games like World of Goo and Angry Birds Star Wars are already available. 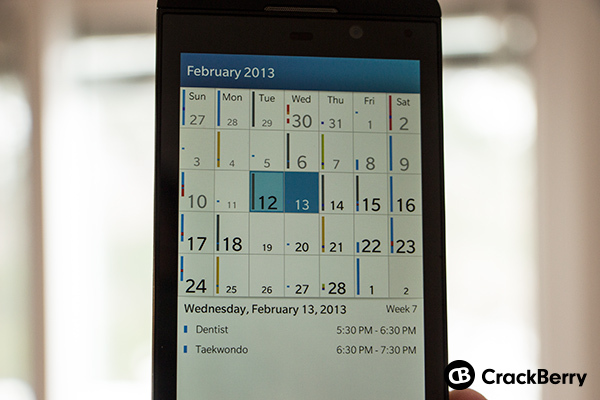 There is Dropbox, Box and Evernote integration, but no official "apps" just yet - just baked-in BB10 integration. Holdouts like Instagram have yet to become available for BlackBerry. The good news is that you can sideload a large number of Android applications and they'll work fine on BlackBerry 10. It gives you a bit of a customization and allows you to use apps that aren't available in BlackBerry World. We have great tutorials on sideloading both from a Windows PC or Mac. The movie and music selection in BlackBerry World should be enough to keep most media-hungry users satisfied as well. BlackBerry 10 features the Hub - a central inbox for all of your incoming e-mails, SMS, BBM (BlackBerry Messenger), Facebook & Twitter messages and more. While iOS has a pull-down notification tray, with BlackBerry 10, you can read and reply to all of these alerts right from the Hub. Meaning you don't have to go into different apps to reply to notifications such as e-mail or SMS. So essentially you aren't losing anything here, just trading off your current notifications for the Hub instead. Also, there are no pop-up notifications like on iOS. So if you receive an SMS or email, you unfortunately don't have the option for a pop-up notification that turns on the screen. Rather you have to rely on an alert (audible or vibrate) and the LED instead. Much like iPhone, BlackBerry offers limited devices with one standard OS. As an iPhone user you are accustomed to using one OS without the ability to change it up at all. The same goes for BlackBerry 10. Unlike the old BBOS where you could pick and choose from a multitude of OS versions, BB10 simply offers up one version of the OS per device and that's that - so you won't have to worry about finding the best one or flashing ROMs like Android users. Your precious Home button won't be found on BlackBerry either - in fact - you won't find any navigation buttons at all. The BlackBerry Z10 is gesture based, so it's all in the swiping to navigate the OS. As far as customizing goes, on BlackBerry you can also change up your wallpaper, move around icons and create folders. There are no themes or deeper customization here, so the setup is greatly like that of your iPhone. For connecting to your PC or Mac, you can also utilize BlackBerry Link. The software lets you sync up music, movies, photos and documents as well as backup and restore your device. 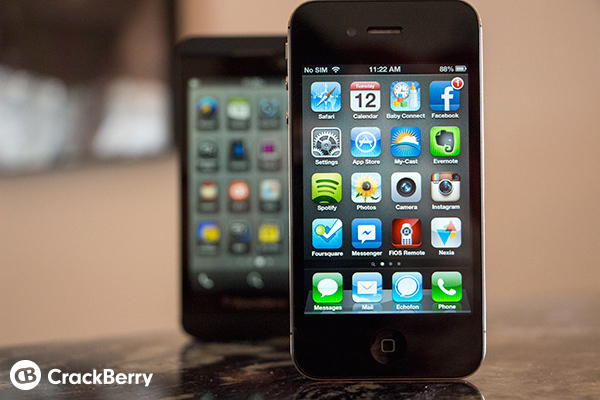 You don't have much to lose when it comes to switching from iPhone to BlackBerry. You're already locked in to a small set of devices without the ability to go nuts changing up the OS. While you may be longing for some apps that you loved on iOS, you always have the option to see out their Android counterpart and sideload them to your BlackBerry 10 device. 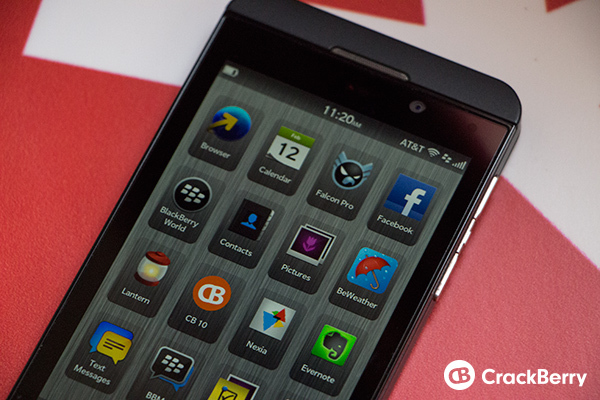 Thinking of switching to BlackBerry 10 from an Android device? Read this!